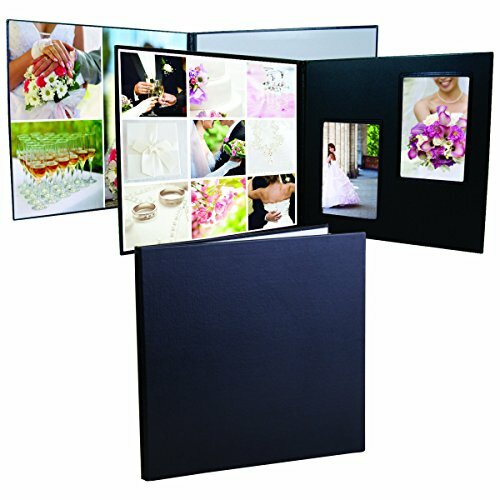 6816 - Self-Stick Folio (2) 10" x 10" mount areas Includes 6 mats, two each of: 4" x 6", 5" x 7", and 8" x 10" Overall size closed 10-3/8" x 10-1/4" Black leatherette material Individually boxed This self-stick folio has two 10" x 10" mount areas. The folio includes 6 mats, in various different sizes. The self-stick folio is made out of a beautiful black leatherette material. They come individually boxed and are sold in cases of 12. If you have any questions about this product by Neil Enterprises, contact us by completing and submitting the form below. If you are looking for a specif part number, please include it with your message.